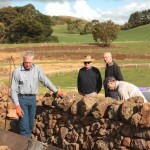 Caring for old dry stone walls was the theme of this field day and started with a wall repair demonstration with expert wallers; David Long and Alister Tune. 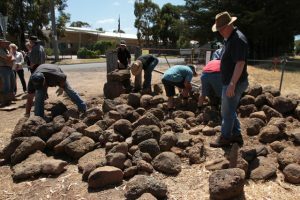 They were assisted by 8 or so ‘apprentices’, overseen by 30 members and friends, and the damaged wall was soon repaired. 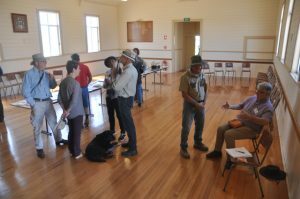 Lunch and an information session on local history was followed by a very useful discussion with the committee, members, wallers, land owners, historians and others interested in dsw. 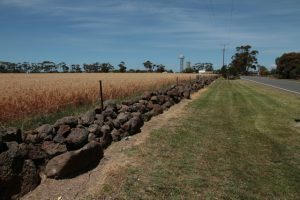 Little River is a small town and farming district nestled against the You Yangs and on the railway line between Geelong and Melbourne. 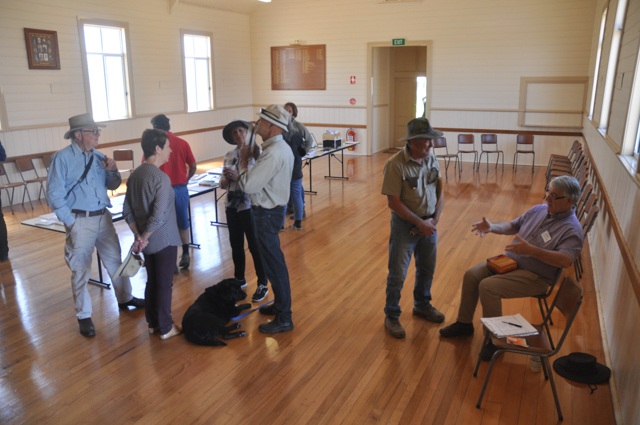 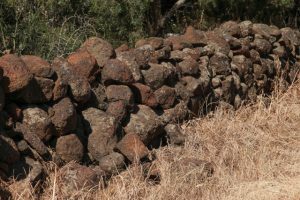 This area has a rich Aboriginal and early settler history, forms part of the rural ‘Green Wedge’ area between the two cities, and contains some of the now protected Western Native Grassland Reserves. 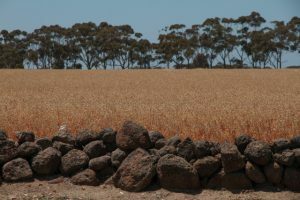 The You Yangs region contains a wealth of Aboriginal heritage sites and formed a central part of the original Port Phillip Association settlement of 1835. 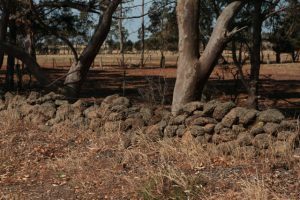 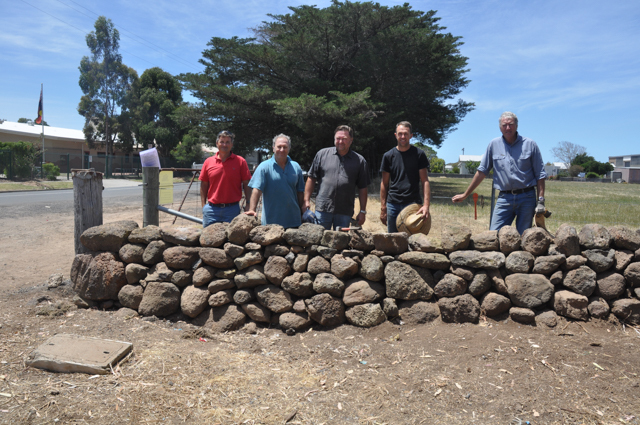 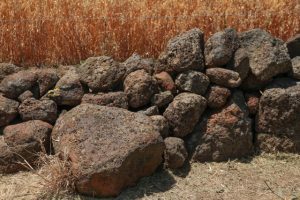 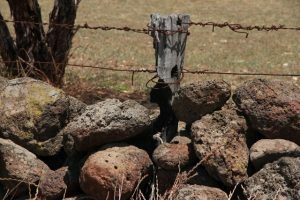 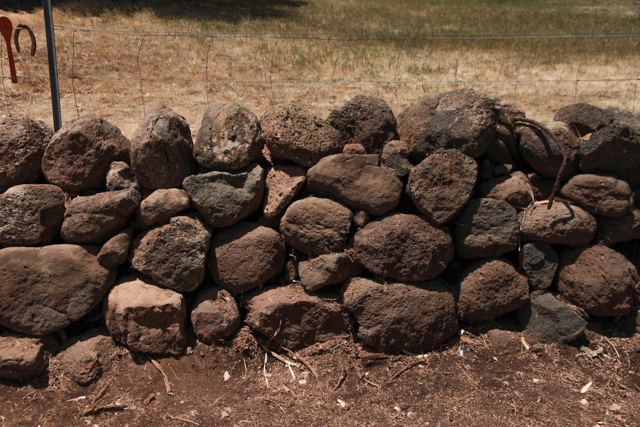 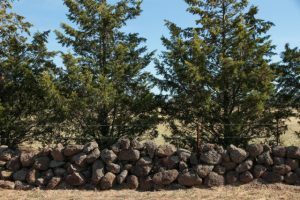 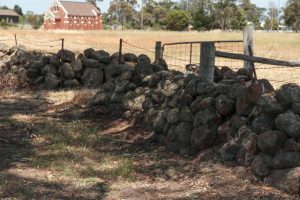 With an abundance … over abundance … of basalt field stone in many parts of this region the dry stone boundary and paddock walls are among the oldest settler-built heritage remains in Victoria and represent some of our earliest settler families. 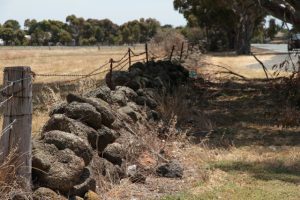 Although largely lost to urban growth within the metropolitan area, important remnants of the extensive roadside walls that lined the Old Melbourne Road, Farrars, You Yangs and Edgars Road approaches to the Little River township can still be seen today, as can those on the Bulban and Ballan Roads into Werribee. 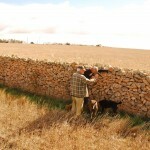 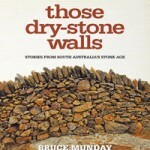 They are evidence of the dry stone wallers’ art and technique which was adapted to local conditions, land uses and stone types. 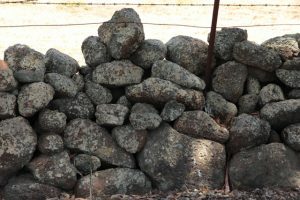 In this they differ from the more common angular bluestone walls of the western district (Criterion F). 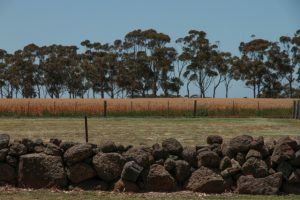 They are part of an important rustic, vernacular aesthetic which, along with remaining farm and civic buildings, formed a significant part of the character of this region (Criterion E). 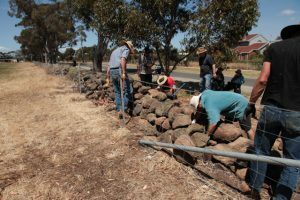 The Panel also acknowledges that the walls collectively have a level of social significance to the current community of Wyndham and some are of archaeological significance. The planning amendment proposed is intended to ensure that approval is obtained for any construction, alteration or demolition effecting heritage dry stone walls. This will include dry stone walls associated with existing heritage sites as well as the establishment of new heritage overlays for additional dry stone walls and dry stone wall precincts of significance. 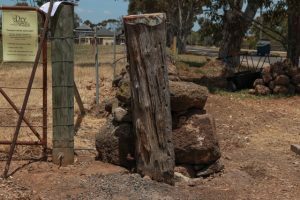 As at December 2016, Council was considering those recommendations. 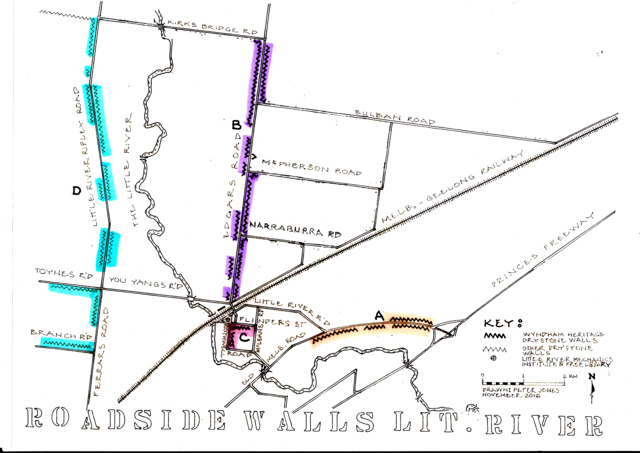 The walls in a yet to be named historic overlay in the Little River township in the Flinders Street, Rothwell and McLeans Roads block, south of the railway. 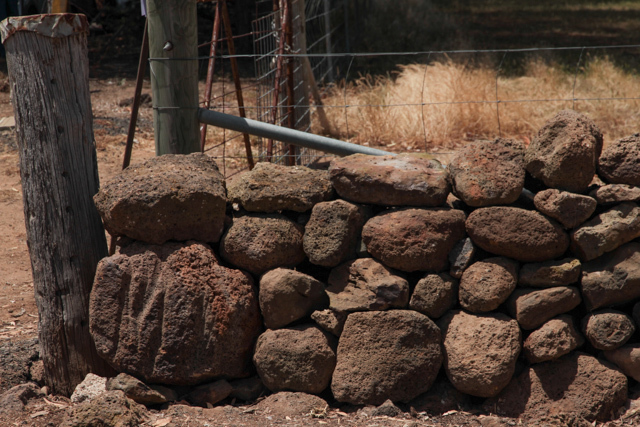 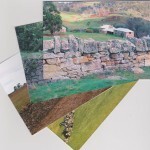 The walls included in these heritage overlays are old roadside, boundary and paddock walls. 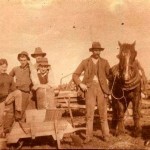 Most are still on working farms. 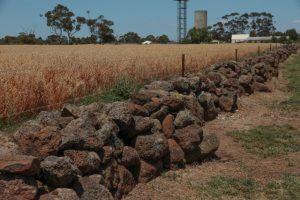 It is recognized that the conservation of farm walls provides a very different range of challenges for owners and planners to those experienced within urban development zones. Here are some of the walls along Edgars Road, typical of those in the district.